I wrote this piece in 2006 upon my return from my first post-war visit to Lebanon. Starting with the 2006 war I developed what you can safely call a Lebanon obsession. It was apparent in everything I thought or spoke about. Until then I still hadn’t known much about the country beyond the books I read or the things I heard. I was specifically interested in what many of us in the Arab world call Lebanon’s “culture of resistance,” which took many forms throughout its turbulent modern history. The closer I got to the people the more specific the obsession became. I became more obsessed with Hizbullah and its people, that revolutionary Shiism that is the eternal fuel that prepares its people to sacrifice, any sacrifice. As intimidating as that may be to some, my humble experience has taught me what I will try to reveal in my chronicle: they are very common people whose experience is not at all different to that of any people subjected to war and invasion. They just want to live free, even if they have to die for it. And so are most of the Lebanese. My feelings were mixed. I could not decide why I was so happy as I looked out the plane window and began to see the beautiful mountains as they hugged the Mediterranean coast. All those buildings and homes clustered next to each other on mountains and hills, forming Beirut, one of the Arab world’s most beloved cities. I was headed to Lebanon on November 16, 2006, to participate in a conference that gathered hundreds of activists and media professionals from all over the world who came together in support of the resistance of Lebanon in all its forms. When I made the decision to revisit Lebanon after the war, I wanted to make sure I remained as detached and professional as I could, not just driven by emotion. I struggled with this equilibrium for a long time. I doubted myself all along. But I couldn’t contain myself as Beirut became more and more visible through the window. This was a reunion with a city I had seen and experienced before only once but had read so much about. It was also a first encounter with a wounded city that only recently came out of a vicious war that took more than 1400 civilian lives. I didn’t know what the buildings would look like, and most importantly, I didn’t know how the people would receive an Egyptian, a citizen of a country whose government didn’t do much beyond standing by and watching as destruction was eating its way throughout the country. Would they have changed? Would they have overcome the pain already, ready to recall it to a stranger like me, trying to see in reality what the war I was following minute by minute has brought Lebanon to? After more than 30 years of covering the Middle East, not even British journalist Robert Fisk could hide his emotions when writing about Lebanon. In his famous book Pity the Nation, he lamented a country he saw tearing apart for long years, losing much of its beauty to conflicts often meant to serve interests of outside powers. But Lebanon’s tragedies have given it a special enduring character. Suffering has given it a spirit of perseverance that finds breath even through smallest holes of hope. After the recent July 2006 war, I discovered that death and destruction have bred life in an ironic twist of fate, showing only the proud side of a nation quickly picking up the pieces, never looking back except to find its way forward. It was Ali*, an acquaintance of a friend of mine I’d heard so much about and learned about his ground stories of the war. He was rushing the wounded fighters and literally sweeping pools of blood along the streets of Bint Jbeil — the southern Lebanese town that is considered by Hizbullah the “capital of the resistance,” and that witnessed the fiercest fighting during the war. I used to listen to his stories through my friend and follow them so closely during the war that I had a vision in my head of how he must have looked like. And I wasn’t mistaken. I was so overwhelmed by the man’s kindness that half of my talk was thanks and praises. Such is the way with the Lebanese no matter what their background: They smother you with hospitality and kindness and render you absolutely speechless. In this trip I realized that the war hasn’t changed them one bit. With each street we passed through, my heart embraced this courageous city. I could not help stare at each corner, afraid I would miss an inch. The airport road was a celebration of Hizbullah’s victory in the war. The streets were filled with gigantic posters of the Secretary General Sayyid Hassan Nasrallah, each poster quoted a different statement he gave in one of his speeches. More than any other Arab city, Beirut’s streets speak of its people and their character. They speak of the nation’s sorrows and triumphs. 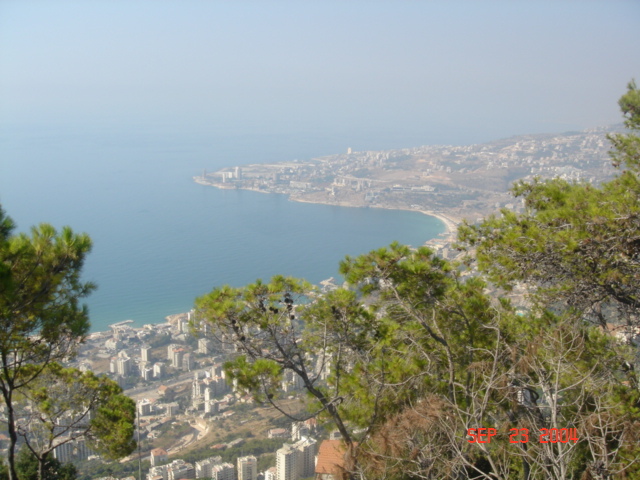 You don’t need to attend lectures or read essays on the nature and spirit of Lebanon. Just walk down one of its streets. Ali and his wife invited me for dinner. I dove into some of the best Lebanese dishes as I heard unspeakable stories of how they were separated when the war erupted. Sometimes what you hear is too devastating that any words of consolation can appear trivial. So I focused on my food as I listened to how Ali’s wife and the children were caught in Bint Jbeil in the South, unable to reach him in Beirut. They remained hiding for 10 consecutive days with barely any food. She told me of how they would spend each night in a different hiding place, and how miraculously each place was bombed only after they had left it. Shortly afterwards we were joined by a young man, a close relative of Ahmad Qassir** He was introduced to me in two small sentences: “Akram* is a graphic designer. He is with the resistance.” And I was left with that. So much has happened in each Arab country that many of us now feel separated by ages of identity formation, hardship, and struggle. As an Egyptian born in the 70s, I grew up in the “Camp David era,” where Egypt supposedly brought its long years of confrontation and war with Israel to an end. I grew up hearing about Palestinian suffering and watching the Lebanese lying in pools of blood on the television screen as I sat comfortably in the safety of my home. I had no idea that with years of suffering generations are brought up with a cause, with a clear mission that shapes everything a person says and does. It is so entrenched in a person’s making that it becomes natural, expected. So Ali introduced Akram in those two sentences so casually to me and went on to discuss the next topic, leaving me still trying to grasp the magnitude of those two sentences and what they implied about Akram’s life and upbringing. I was looking at a 23-year-old professional young man who almost literally designs graphics for publications during the day and gets trained by Hizbullah at night. Remembering the information and accounts I heard about Hizbullah resistance in Lebanon, it is not uncommon to run into fighters everyday as you talk to a shopkeeper, a taxi driver, or any other Lebanese citizen. And Akram was no exception. Akram listened more than he spoke and he occasionally gave me a warm welcoming smile. As I turned his smile back I couldn’t help thinking about many youth back at home and how they felt lost and frustrated, unable — and in many cases unwilling — to channel the energy they have in anything fruitful. Yes. We’ve been surpassed by so much. They’ve certainly come a long way over here. They lived danger and faced it, they knew the true size of it, they grasped the true meaning of life and held on to it dearly and survived, while we remained in our shells, looking at the outside world through our television screens, fearing what we chose to keep unknown. Many Arabs hold a stereotype of Lebanon being the land of blond women wearing bikinis. I remember when I was going on my first visit to Lebanon how I received a few comments on how I was heading to the “Paris of the Middle East.” I had known some people from Lebanon who did not relate, even remotely, to this stereotype. The Lebanese in my mind have always been good-natured people who appreciated a joke even in the darkest of times. They always rose from the ruins of conflict and war to go about their daily lives, seeing beauty in everything, appreciating what they had, and always looking at the full side of the glass. The Sunnis and Shiites that I met were committed Muslims with a clear mission guiding them in almost everything they said and did. Life to them is a means to an end so alive in their minds, so real that nothing could distract them from it. As the night was over and they drove me to the hotel, I stored the memory as I tried to focus on my duties the next day, the first day in the conference where I was supposed to give a presentation on IslamOnline.net’s coverage of the Lebanon war. *I changed all the names of persons used in this article for their privacy. **Ahmad Qassir is the first fighter who carried out a martyrdom operation against the Israeli occupation in 1982, killing 17 Israeli soldiers. 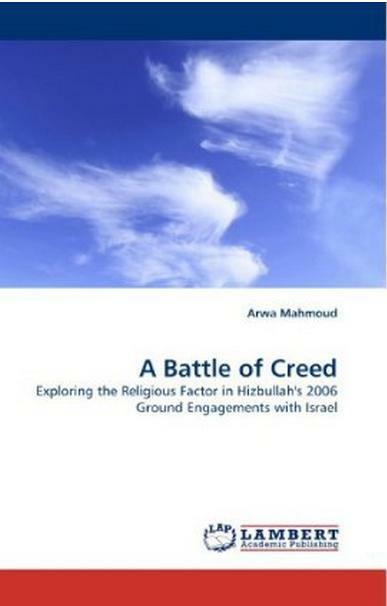 Since then, that day has been celebrated by Hizbullah each year as Yom Al Shahid (The Day of the Martyr). This entry was posted on November 17, 2009, 12:13 am and is filed under Uncategorized. You can follow any responses to this entry through RSS 2.0. You can leave a response, or trackback from your own site. It’s good to know about how life is goes on in Lebanon, cause, for me, it’s unimaginable and may be complicated to understand how the Lebanese can go along with this chaotic life politically, economically, socially….. 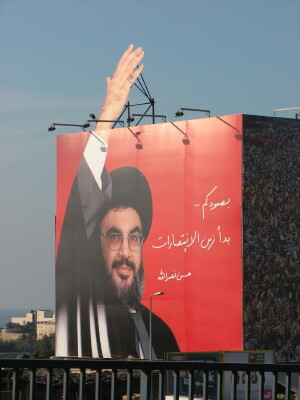 But what really caught my eyes, is the gigantic poster of Sayyid Nasrallah everywhere… I guess it’s trouble, cause it magnifies his power and his image more than what really is… like what happens with all the Arab leaders.. But I love the rest and looking forward the part 2. Thank you so much for your comment. The truth is that Lebanon is quite unique in the Arab world, there’s just no state quite like it. I suppose the cultural and political diversity, as much as it has the ability to fragment the society, it has also enrich it in many ways. As for the big poster you see of Sayyid Nasrallah, you see it only in areas that are predominantly Shiite or somehow fall within the realm of Hizbullah. If you go to other places in Western Beirut, for example, you start seeing posters of Rafik Hariri and his son Saad, who is now the prime minister. And if you move to certain predominantly Christian areas (not all Christian areas since they too have their differences) you start seeing posters of Pierre Jmeyil, etc. It’s many worlds living together. So you can’t quite compare Beirut to any Arab city. Thanks, Miri, for your comment. It never fails to mesmerize me how war often brought out the best in many people and allowed them to experience a true liberty in thought and in spirit, something they would not otherwise have experienced. It’s always when a person see death, faces it, or even challenge it that they begin to understand the true value of their lives and what they stand for. Of the people that I have spoken to or the examples of the people you mention, I feel that they all have one thing that binds them: it’s this clear vision that allows them to see things with their true colors, and maybe call them by their names if they have to. lol!!!! i also experienced a lebanon obsession after i got back to nyc in dec 2006. for 12 days in december i went to the rallies against the western backed sinora gov’t . i couldn’t stop thinking about my time there. it got to the point that i when i was day dreaming about lebanon my friends would say, “your thinking about lebanon again arn’t you?” of course they were right! please let me know when the next conference is, i would love to go!